The enactment of The Patient Protection and Affordable Care Act is going to place many hardships upon the individual states. While every individual is mandated to subscribe to a low-cost health insurance policy, all the states are also being told what they will and will not do under the health reform bill. This is going to be a very costly adventure for many states that are not prepared to comply with the mandates of the federal government. The one section of the health reform bill that is noticeably eliminated is the subject that deals with lawyers, legal fees, and lawsuits. The technical term is tort reform, but this was not an oversight on the part of the government entities because the majority who sit in power are attorneys. Many of them still have active legal practices. In this manner, the health insurance disputes will remain in the hands of the states. Many of the states today are operating with a deficit budget. To add the cost of medical malpractice liability suits will only add to the frustration that these same states are currently experiencing. In the meantime, the insurance providers and the mass public is going to be placed on hold indefinitely as these arguments are fought through the court systems. The one factor that is at stake beside the individual who was injured is the average monthly cost for health insurance. 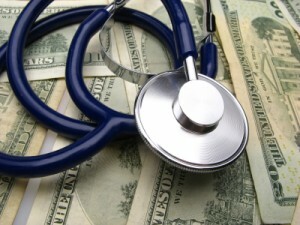 As the medical malpractice lawsuits mount in any given state, the cost for future medical insurance will increase. It must be this way or the states and the insurance providers will never have the opportunity to recoup what they have lost. Some of the more commons examples of medical malpractice are the following. The sad reality for the medical health community is that medical mishaps do occur and there is no possible way to avoid these incidents even with the introduction of universal health care. The medical community works diligently to prevent these mishaps from occurring, but they will happen regardless. The problem is that this will continue to place an undue burden on the states. As each of the states continue to operate on a deficit, these liability lawsuits will continue to weigh heavily on the citizens of that state.